Wisdom teeth removal is sometimes viewed as a “rite of passage” into young adulthood. While not everyone has his or her wisdom teeth removed, a large portion of the population does require the extraction of these back teeth to correct an actual problem or to prevent problems from occurring in the future. The procedure to remove the wisdom teeth is an out-patient procedure with a relatively short recovery time. Removing the wisdom teeth is most often described as a proactive approach to protecting your oral health, and at Pure Dental Health we proudly offer comprehensive family dentistry in the most comfortable and rewarding ways possible. The wisdom teeth become impacted, making them unable to break through the gums. This can cause a whole host of issues such as an infection, a cyst, and damage to the other teeth and bone. The wisdom teeth can come in at an awkward angle, with the top of the tooth facing forward, backward, or to either side. The wisdom teeth may partially erupt through the gum tissues. This causes the gum tissue to create a flap of tissue, where food and germs can become trapped and cause a painful and serious infection. When wisdom teeth removal is considered to be the best choice, it is a very effective oral surgery. 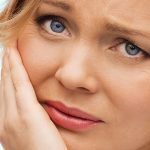 The complications of crowded teeth, impacted teeth, infection, and gum disease can wreak havoc inside the mouth; yet, this relatively common oral surgery prevents major issues. The wisdom teeth removal process is an out-patient procedure that is typically performed under general anesthetic. This general anesthetic prevents pain throughout the entire body and allows the patient to sleep through the procedure so that the dentist can efficiently complete the procedure. Most patients who are going to be put under general anesthetic are required to abstain from eating or drinking after midnight on the night before surgery. Other than being free of infection, this is really the only “preparation” that you can do before the procedure. The wisdom teeth are removed by the dentist opening up the gum tissue over the tooth and removing any bone that is covering the tooth. The tissues that are connected to the tooth will be separated, and the tooth will then be removed from the mouth. For extremely impacted wisdom teeth or those that are in a difficult position, the teeth must sometimes be cut into smaller pieces in order to make them easier to remove. Following the removal, the opening will be closed with stitches. In most cases, dissolvable stitches are used so that patients do not have to worry or stress about coming back to the dentist to have stitches removed. A folded cotton gauze pad will be placed over the wound to help stop the bleeding. The recovery from wisdom teeth removal is usually very easy and lasts only a few days. In fact, many people schedule their surgery on a Thursday or Friday so that they have the weekend to recuperate and return to school or work on Monday. It is necessary to relax after the removal of wisdom teeth in order to prevent excessive bleeding. Eating very soft foods (e.g. pudding, broth, Jello®) will be necessary until the mouth heals. Drinking water will also be imperative to stay hydrated, but you must not use a straw. The sucking action of using a straw can loosen the blood clots that have formed in the back sockets and delay healing. While it will be impossible to brush your teeth for a few days, your dentist will give you a special mouthwash to use. This rinse will protect your teeth from developing cavities, reduce swelling, and relieve discomfort. Of course, your will be sent home with painkillers to reduce your discomfort and help you rest, but these painkillers should only be used as specifically instructed and only when needed. Do not smoke after your wisdom teeth removal. The same sucking action used with a straw is also used when inhaling on a cigarette, and this sucking can loosen the blood clot in the back of the mouth. Nicotine also decreases blood supply and will bring contaminants and germs to the surgery area. In fact, it is always suggested that people quit smoking period. Using the few days of healing from surgery as a “cold turkey” method for quitting smoking is highly suggested. Removing the wisdom teeth can be a proactive approach to protecting your oral health. When it comes to wisdom teeth removal in Atlanta, Pure Dental Health is the practice to trust for superior, patient-centered care.